A trademark is a sign that individualizes the goods of a given enterprise and distinguishes them from the goods of others. It can be in the form of words, designs, letters, numerals or packaging, slogans, devices, symbols, etc. 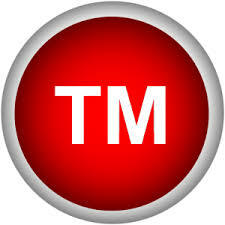 There are numerous benefits to registering a trademark and utilizing the trademark services of a lawyer. Registering a trademark heightens the protection it receives, deters others from using your trademark, and increases the remedies should someone infringe upon the trademark. Using a trademark lawyer increases the likelihood of receiving all of the benefits discussed below. 6. Registering a trademark in the United States can be used as a basis for obtaining registration in foreign countries. 3. Through registering a trademark the United States Patent and Trademark Office will refuse registration to any trademarks it deems confusingly similar to the trademark. 4. Registering a trademark gives the trademark owner an automatic right to sue in federal court. 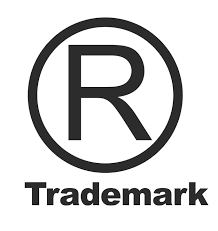 Trade Marks Registry (TMR) is premier body of Intellectual Property Organization of Pakistan (IPO-Pakistan) working for the registration of trade and services marks under the Trade Marks Ordinance, 2001. It is a federal government body and its jurisdiction for trade and services marks lies within the geographical boundary of Pakistan. It works as a civil court and its decisions are appealable at the provincial high courts. The Trade Marks Registry is headed by a Registrar and its office is located in Karachi and also Regional Office situated in Lahore. With the promulgation of Trade Marks Ordinance, 2001, the Trade Marks Registry has acquired a new role of creating mass awareness about the importance of Intellectual Property Rights. In addition to its traditional role of registering trademarks, it has started persuading entrepreneurs to seek protection of their trade and services marks so that they could establish their business on fair practices. In this connection, a separate help line with efficient officials has been maintained at the office of TMR, Karachi, Regional Office, Lahore and IPO-HQs, Islamabad. The reception desks are established in Trademarks Registry, Karachi, Regional Office, Lahore and IPO-HQs, Islamabad. The applications and relevant documents are received and applications numbers issued on the spot. After receiving applications for the registration of trademarks and service marks, this section converts the information of the application into a digitalize form and issues an acknowledgement receipt. It also carries out minor typographical rectifications on request of the applicant. Owing to a huge number of applications received, this section is divided into eight sub-sections. Each sub-section has been allocated specified number of classes of goods and services for examination. These sub-sections examine trade and service marks application in the light of Trade Marks Ordinance, 2001. Any contravention found in the application is conveyed to the applicant with the request to make it compliant with the Ordinance. The subsequent amendment in the application is made through TM-16 with specified amount of fee. If the application does not contravene the Ordinance, it is accepted by the Registrar and is sent to the Journal section. The TMR has maintained this section for the publication of Trade Marks Journal. The Section advertises all accepted applications in the Trade Mark Journal for public awareness as well as to invite opposition, by aggrieved parties before the final registration of a mark.5. Opposition Section deals with oppositions filed against a trade mark published in its Journal. A time period of two months is given for the receipt of opposition to a mark, if any. The oppositions are received in a prescribed TM-5 Form with a specified fee. These oppositions are decided by Registrar of Trademarks after hearing the both parties. In case, opponent satisfies the Registrar the trademark application will be abandoned otherwise it proceed for registration. After publication of the mark if there is no opposition, the mark is recommended for registration. In case, opponent was failed to satisfy the Registrar. This section informs the applicant/representative to submit a prescribed fee to get the registration certificate. After receiving the fee, a registration certificate is issued for 10 years duration. If the applicant fails to submit the fee, a reminder is given to do the same. However if the registration fee is not submitted, the application is considered as abandoned by the Registrar Trade Marks Registry. After the registration of a mark, all subsequent changes i.e. (change of address, change of ownership) amendments, transactions and related matters are looked after by the Post Registration Section. A registered trademark is valid for a time period of 10 years. Afterwards, it needs to be renewed for another 10 years. This section looks after the matters of renewal of marks like intimating the applicant for renewal of application. After receiving a prescribed fee on TM-12, Renewal Section issues a Renewal Certificate for another 10 years time period. This Section maintains the physical record of files and issue files to different sections for processing the applicant’s request i.e. post Registration section, Renewal Section and Legal Section etc. and after completion of processing, the files returned back to Record Section. This section handles all the Legal matters due in the court of Law including appeals vis-à-vis the decision of the Registrar Trade Marks Registry. The internal matters of the trade marks registry including human resource management, office infrastructure and office accounts are looked after by this section. Automation, IT support, and maintenance of IT infrastructure of Trade Marks Registry, Karachi is taken care of by this section. Class 1 includes mainly chemical products used in industry, science and agriculture, including those which go to the making of products belonging to other classes. certain additives for the food industry (consult the Alphabetical List of Goods). metals in foil and powder form for painters, decorators, printers and artists. Class 2 includes mainly paints, colorants and preparations used for the protection against corrosion. insulating paints and varnishes (Cl. 17). candles and wicks for lighting. meal replacements, dietetic food and beverages not for medical or veterinary purposes (Cl. 29, 30, 31, 32 or 33). Class 6 includes mainly unwrought and partly wrought common metals as well as simple products made of them. metals in foil and powder form for painters, decorators, printers and artists (Cl. 2). Class 7 includes mainly machines, machine tools, motors and engines. motors and engines for land vehicles (Cl. 12). all computer programs and software regardless of recording media or means of dissemination, that is, software recorded on magnetic media or downloaded from a remote computer network. amusement and game apparatus adapted for use with an external display screen or monitor (Cl. 28). electrically heated clothing (Cl. 9). apparatus for locomotion by land, air or water. parts of motors and engines (of all kinds) (Cl. 7). Class 13 includes mainly firearms and pyrotechnical products. Class 14 includes mainly precious metals, goods in precious metals not included in other classes and, in general jewellery, clocks and watches. objects of art not of precious metals (classified according to the material of which they consist). apparatus for the recording, transmission, amplification and reproduction of sound (Cl. 9). Class 16 includes mainly paper, goods made from that material and office requisites. hand tools for artists (for example, spatulas, sculptors’ chisels) (Cl. 8). flexible pipes, not of metal. Class 18 includes mainly leather, leather imitations, travel goods not included in other classes and saddlery. goods (not included in other classes) of wood, cork, reed, cane, wicker, horn, bone, ivory, whalebone, shell, amber, mother-of-pearl, meerschaum and substitutes for all these materials, or of plastics. glassware, porcelain and earthenware not included in other classes. Class 22 includes mainly rope and sail manufacture products, padding and stuffing materials and raw fibrous textile materials. Class 26 includes mainly dressmakers’ articles. cereals prepared for human consumption (for example, oat flakes and those made of other cereals). syrups and other preparations for making beverages. cigarettes without tobacco, for medical purposes (Cl. 5). services of advertising agencies and services such as the distribution of prospectuses, directly or through the post, or the distribution of samples. This Class may refer to advertising in connection with other services, such as those concerning bank loans or advertising by radio. services such as evaluations and reports of engineers which do not directly refer to the working or management of affairs in a commercial or industrial enterprise (consult the Alphabetical List of Services). services dealing with insurance such as services rendered by agents or brokers engaged in insurance, services rendered to insured, and insurance underwriting services. telephone marketing (telemarketing) services (Cl. 35). Class 39 includes mainly services rendered in transporting people or goods from one place to another (by rail, road, water, air or pipeline) and services necessarily connected with such transport, as well as services relating to the storing of goods in a warehouse or other building for their preservation or guarding. services relating to reservation of rooms in a hotel by travel agents or brokers (Cl. 43). Class 40 includes mainly services not included in other classes, rendered by the mechanical or chemical processing or transformation of objects or inorganic or organic substances. For the purposes of classification, the mark is considered a service mark only in cases where processing or transformation is effected for the account of another person. A mark is considered a trade mark in all cases where the substance or object is marketed by the person who processed or transformed it. design and development of computer hardware and software. scientific research services for medical purposes. agriculture, horticulture and forestry services.